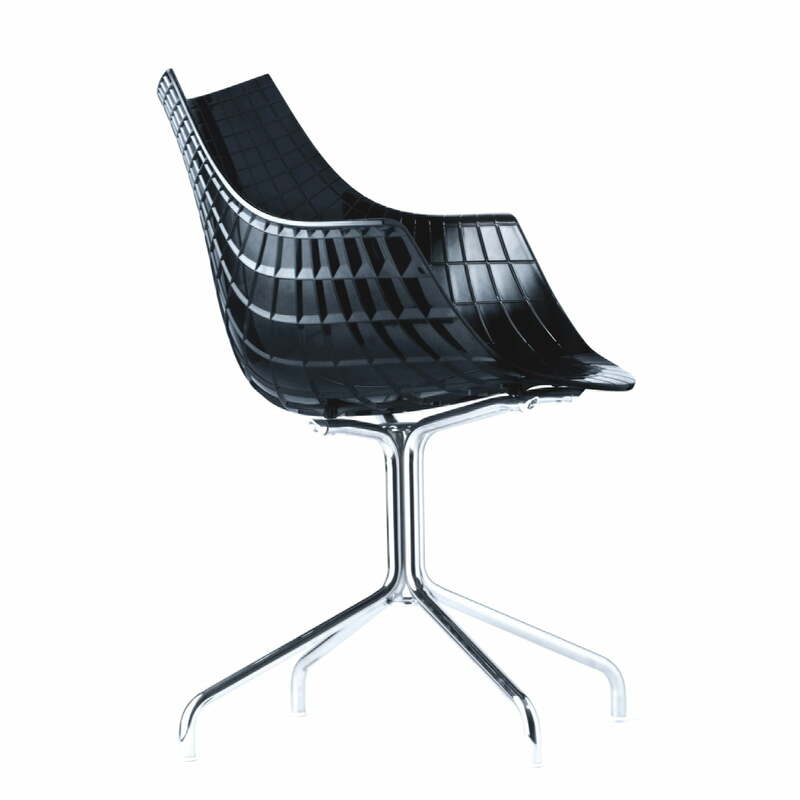 The armchair Meridiana has been part of the Driade Store collection since 2004. 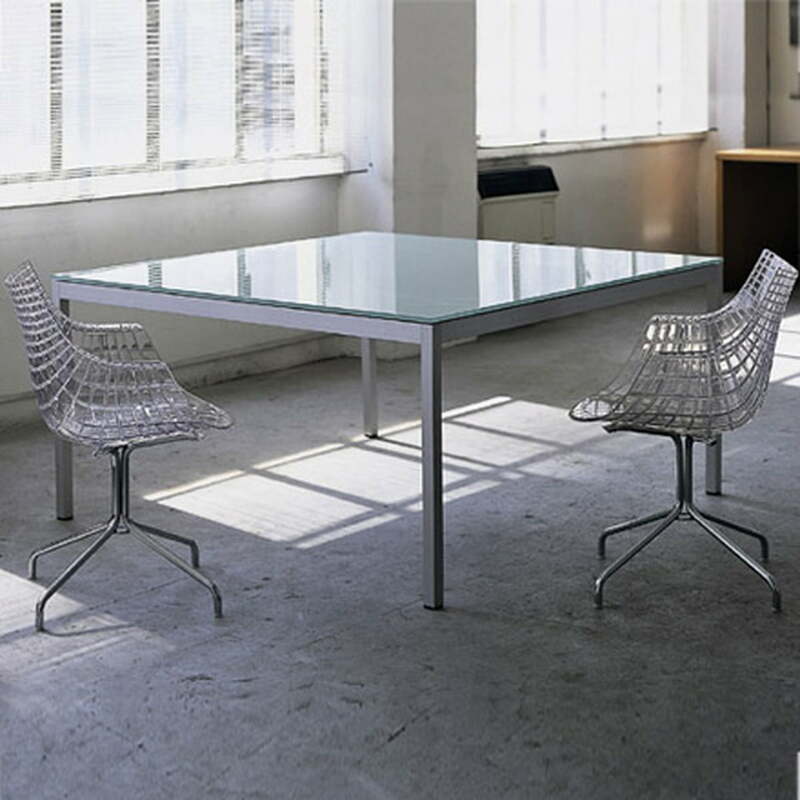 With Meridiana, the designer Christophe Pillet created an armchair and office chair that combines seat comfort, innovative materials and organic design. 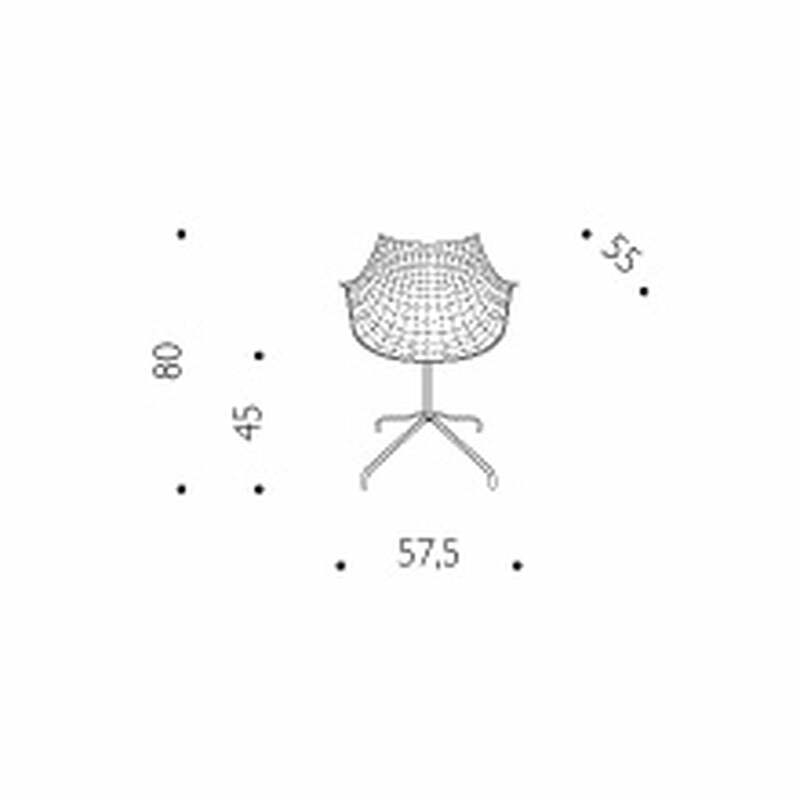 In addition to the standard variant offered here, there is also a height adjustable office chair available, as well as a Meridiana edition adapted for outdoor use. 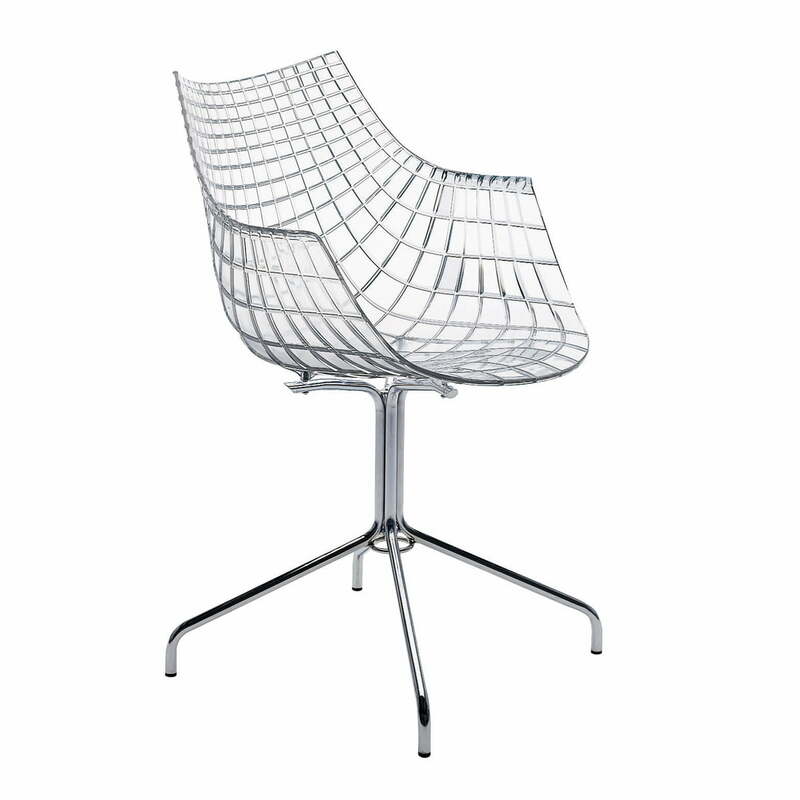 The Meridiana Armchair frame is made of chromed steel. 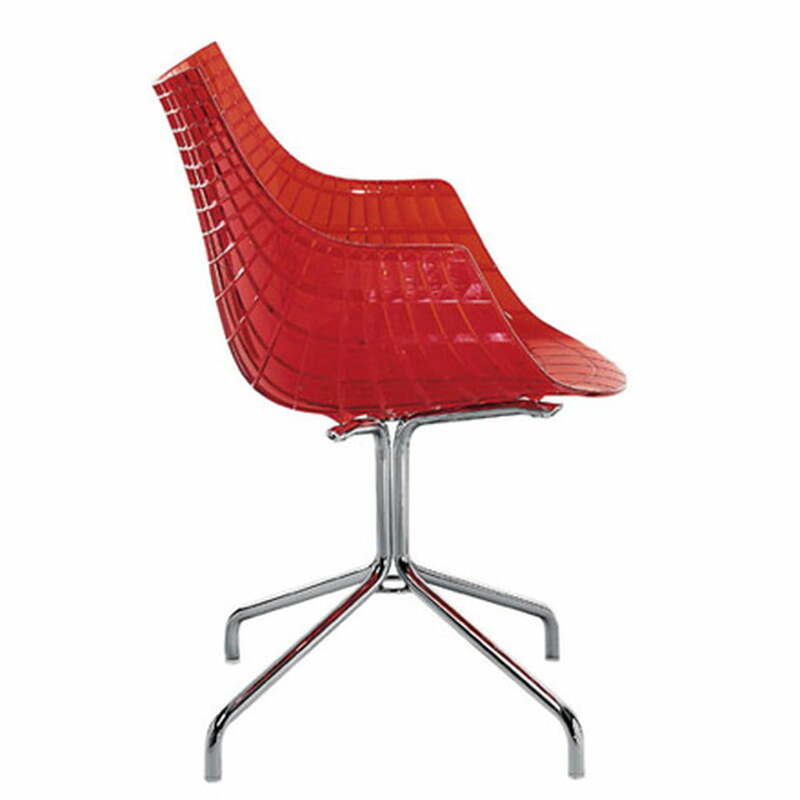 The seat is made of polycarbonate and available in several colours: smoke (G7), red (R1), white (B1), light blue (P2).